Drew Fowler’s first football game was played in Husky Stadium. His next football game will also be played in Husky Stadium. Fowler — a 6-foot-2, 210-pound Bellevue High School linebacker — has come a long way since the fifth grade, when he participated in a preseason round robin jamboree inside the stadium he also frequented as a fan. But in a more literal sense, he hasn’t gone very far at all. Actually, that’s the point. The three-star 2019 prospect received scholarship offers from Pac-12 programs UCLA, Utah and Oregon State, as well as Louisville, and a handful of Mountain West programs. He took official visits to both Utah and UCLA in the final weeks before national signing day. He could have accepted a free ride to play Division-I college football at more than 20 institutions nationwide. Instead, Fowler turned down all those Pac-12 scholarship offers to walk on where it all began. “When I’d go to other schools or think about other schools and make that pro/con list, one of the cons was always, ‘Well, it’s not UW,’” Fowler told The Times on Sunday. “That would sort of hang there and I’d try to honestly not think about it. But how long, exactly? When Jake Locker and Co. finished 0-12 in 2008, Fowler was there, suffering through “at least two” home games in the stands. He grew up idolizing Husky linebackers Donald Butler and Cort Dennison (who, coincidentally, recently tried unsuccessfully to recruit him to Louisville). Fowler was a fan long before Chris Petersen showed up and started winning conference championships. The same goes for Fowler’s high school head coach, former Bellevue and UW offensive lineman Michael Kneip. So, no, Fowler doesn’t have a scholarship. He also doesn’t have any regrets. That’s despite the fact that UW signed four traditional linebackers in its 2019 class — four-star prospects Josh Calvert and Daniel Heimuli and three-star recruits Miki Ah You and Alphonzo Tuputala. For Fowler, and everyone else, opportunities will have to be earned. Fortunately, they’ll all start with an even playing field. But just how much can Fowler help? And is the former high school linebacker and running back a legitimate Pac-12 player? “There’s no question,” said 247Sports national recruiting editor Brandon Huffman. “There’s no question at all he was a Pac-12-level guy. He can cover. He’s good in the box. He’s really good at stopping the run, but he played a lot of 7-on-7 in the offseason to really work on his ability to drop into coverage. That’s how Bellevue used him last season, with great success. In 10 games, the two-way standout produced 98 tackles, eight tackles for loss, three forced fumbles, 2.5 sacks and an interception, en route to being named the KingCo 2A/3A Defensive Player of the Year. He also contributed 773 rushing yards, 7.2 yards per carry and a whopping 18 touchdowns on the offensive end. 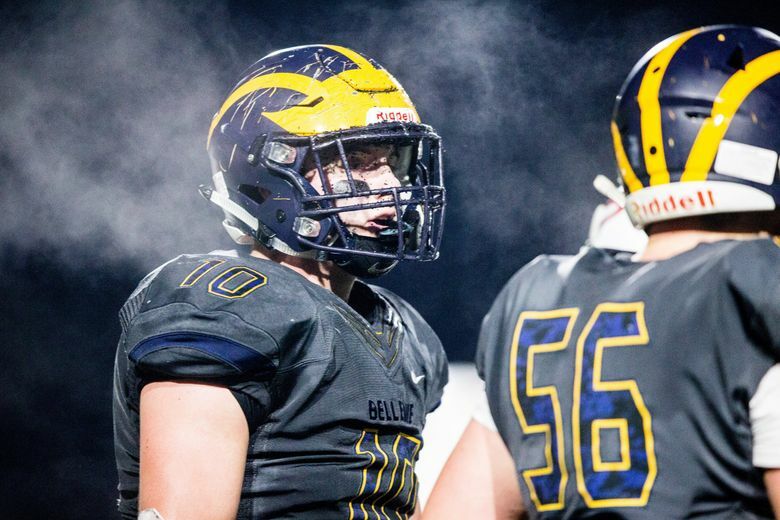 At Bellevue, at least, Fowler was more than a middle linebacker — literally. “He did it all for us last year,” Kneip said. “He’s got a unique body and frame for a high school athlete. He’s thick enough that he can play middle linebacker, but he also can do really well in space and cover guys. That’s the versatility and athleticism Pac-12 programs found attractive. Still, Fowler isn’t the only local product who chose a preferred walk-on spot at UW over scholarship offers from other programs. Like Fowler, Seattle O’Dea cornerback Mishael Powell is heralded by 247Sports as a three-star prospect. And like Fowler, he’ll scratch and claw to ascend the depth chart at Washington all the same. It’s not easy, but it can be done. The proof is already on the roster. “You look at a guy like (former Bellevue standout and 2017 UW sack leader) Ryan Bowman, who was a preferred walk-on to Washington and got into the rotation,” Huffman said. “So you see there’s been a track record recently of walk-ons that have gotten on the field, and what do they have in common? In a different era, with a different UW coach, Fowler might have accepted a scholarship at Utah. He could have succumbed to the glitz and glamor at UCLA. He would have eventually played inside Husky Stadium for a second time — and stood on the opposite sideline. Instead, he’ll wear purple and gold (again) when UW hosts Eastern Washington on Aug. 31. “Really what the UW coaches told me is that I’m a guy that can definitely compete, and the best players play,” Fowler said. “That’s just how it works in college football. Scholarship or not, if you can come in and out-work, out-compete, out-perform and out-produce these other guys then you’ll earn your way up.